Cargotec has received an order to deliver 13 Kalmar reachstackers and 4 Kalmar empty container handlers to Europe Container Terminals (ECT), supported by a five-year maintenance agreement. The order has been booked for the first quarter of 2012. Cargotec secured the deal owing to the total solution it could deliver with high performance, eco-friendly products and excellent service proven over a longstanding relationship. Scheduled for delivery at the end of April 2012, the new models - Kalmar DRF 450-60S5 reachstackers, Kalmar DCF 100-45E7 and DCF90-45E6 empty container handlers - will be serviced at one of Cargotec's service stations. For ECT, state-of-the-art facilities and up-to-date information and communication technologies are vital for an optimum operational output, and the company constantly invests in new equipment and technology. The new equipment from Cargotec and service support fulfil ECT's high criteria. The engines in the Kalmar reachstackers enable the customer to comply with the current emission legislation without sacrificing performance or fuel efficiency. The equipment will be used at the inland terminals of ECT. The Kalmar reachstackers are fitted with the latest Volvo diesel engines which use Selective Catalytic Reduction (SCR) technology to deliver near-zero NOx and harmful particulate emissions. This achieves compliance with the 2011 EU stage 3B and EPA Tier 4i emission regulations set for all off-road equipment powered by engines of 129kW and above. Significant reduction in emissions is achieved without affecting capacity or the level of productivity, safety and quality that Cargotec customers have come to expect. Furthermore, there is no increase in service intervals or costly downtime as the system is designed to last the lifetime of the engine. 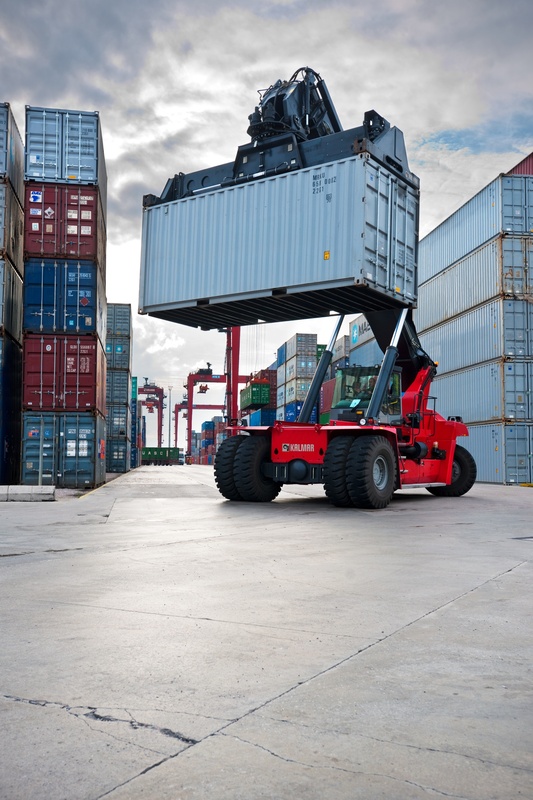 Cargotec's reliable and highly flexible Kalmar reachstackers make it easy for deepsea and inland terminals, including rail terminals, to handle containers with efficiency. The heavy duty DRF450-60S5 model selected by ECT boasts a capacity of 45,000kg, smooth automatic gearshift and smart operator controls. 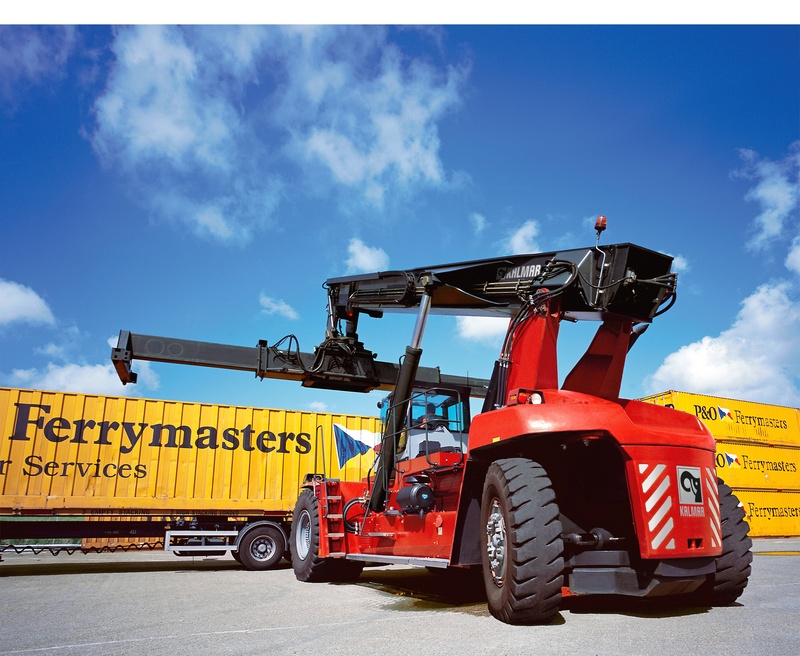 Kalmar reachstackers and empty container handlers will be used at inland terminals operated by ECT in Europe.